SB 792, a bill to regulate the application of turf grass fertilizer, is poised to pass the state Senate. The bill will require companies and individual workers to register with the Department of Agriculture (PDA) and pass an exam to apply fertilizer. The bill also regulates the time of year and rates at which fertilizer can be applied. PLNA has opposed the bill due to its costs to the industry, the fact that it is not based on science and may be detrimental to water quality. PLNA sent a letter to all Pennsylvania Senators today expressing our opposition to the SB 792, the fertilizer bill. First, the bill as written would provide no environmental or water quality benefit to the Chesapeake Bay or Pennsylvania water quality, and may have a detrimental impact on water quality. Second, the bill would impose real costs on the lawn care industry for no environmental benefit. Third, the Chesapeake Bay Program has been targeted for elimination by the Trump Administration. Imposing a questionable new costly regulatory program on Pennsylvania businesses to comply with federal mandates that may soon be eliminated by the Trump Administration does not seem prudent to us. EPA’s Expert Panel Report Supports PLNA’s Position - A major cause of PLNA’s concern is the conclusions reached by EPA’s panel of experts in the recent report published by EPA’s Chesapeake Bay Program in March 2013. The report CBP Approved Final Report of the Expert Panel to Define Removal Rates for Urban Nutrient Management (Expert Panel Report or EPR) is a game changer. Lawns have so long been an environmental scapegoat that EPA has taken as a given that lawns are bad for the environment. This attitude is so pervasive that it has influenced policymakers at EPA to develop policy and regulations that are simply wrong, are not based on scientific evidence and that do more to harm the environment than improve it. Better Lawns, Better Bay - Now, based on scientific data, the EPR concludes that a “dense vegetative cover of turf grass” results in less pollution and less runoff from lawns. Thin sickly turf grass increases runoff and increases pollution from lawns (page 29). The lawn fertilizer laws that have been pushed by EPA and passed by states surrounding Pennsylvania, especially New Jersey and Maryland, are a product of the thinking at EPA that lawns are inherently bad. These laws are based on the assumption that lawns are generally over-fertilized and that reducing fertilization will improve water quality. Lawns in the Bay Watershed are Under Fertilized - On the contrary, the scientific research cited in EPA’s Expert Panel Report shows that lawns in the Chesapeake Bay watershed are under-fertilized, on the whole, by as much as 77% (page 34). Reducing fertilization further could do more harm to the Bay than good. 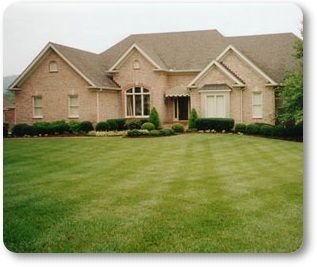 Recommends Professional Lawn Care - The report recommends consulting an extension agent or other lawn care professional for guidance on proper lawn care and fertilization. Rather than restricting fertilizer use among professionals, whose job it is to produce a “dense vegetative cover of turf grass,” the EPA and the Chesapeake Bay Program should be seeking ways to encourage lawn care and responsible fertilizer use among the under-fertilized lawns in the Bay watershed. Professionals have an economic incentive to produce a dense vegetative cover of turf grass sought by their customers with a minimum amount of fertilizer application. According to the EPR, only 4.5% of the lawns in the Chesapeake Bay watershed are cared for by professionals (page 34). Professional Lawn Care Does It Better - The EPR also points out that professional lawn care companies apply fertilizer in four to five smaller doses over the season, which is an environmentally better way to apply fertilizers and consistent with EPR recommendations. Do-it-yourself homeowners tend to only apply fertilizer an average of only 1.7 times per season (page 35). Voluntary Reduction in Phosphorus - Further, the voluntary efforts of the industry have led to a reduction in phosphorus use on lawns in Pennsylvania between 2006 and 2010 of 82% (page 16). It is very likely that more recent data will show further phosphorus reductions since 2010, as the lawn fertilizer industry continues to phase out phosphorus in bagged lawn fertilizers sold to the public. Click here to let your state senator know that you oppose this bill based on its costs to your business, the lack of science behind the bill’s provisions and that it may actually harm water quality in Pennsylvania.